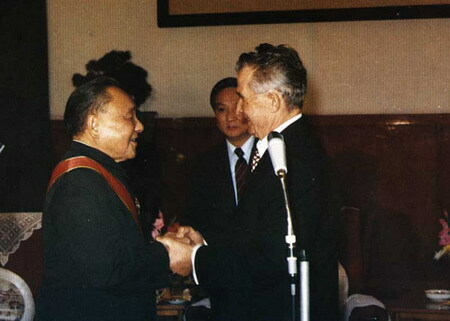 On October 17, 1988, Deng Xiaoping met with Nicolae Ceausescu, General Secretary of the Romanian Communist Party and President of Romania. During their talks, Deng briefly introduced China's modernization strategy. Deng told Ceausescu that China had experienced an overheated economy over the previous couple of years, and it was a new situation that the Chinese government should carefully monitor. Consequently, during the 3rd Plenary Session of the 13th CPC Central Committee, the government activated a plan to cool down economic development, improve the economic environment and rectify the economic order. Their goal was to slow down economic growth to a manageable pace and eliminate newly emerged corruption. Authorities estimated that two years was necessary to complete the plan. To achieve these goals, efforts would be made to reinforce the controlling power of the Central Government and the State Council, and to work out positive and proper measures to strengthen State administration, Deng said.